Simbla&apos;s counter widget allows you to easily create a database-driven dynamic counter based on numeric data. 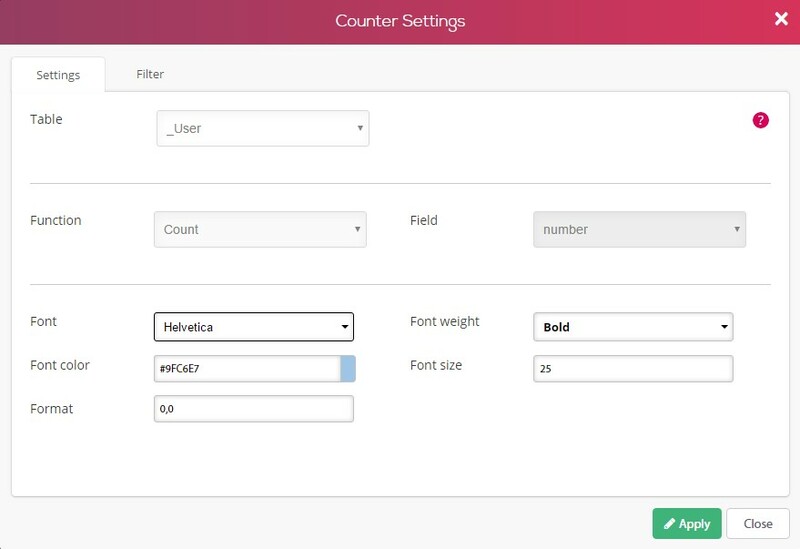 The counter widget allows you to count and process certain fields in one simple step; while creating your counter you will be able to choose it&apos;s design, function and behavior. 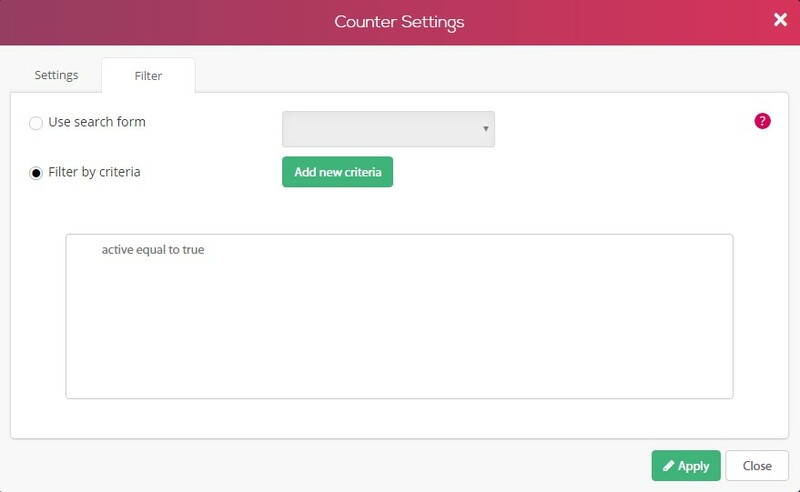 Click here to see an example of the counter in our live dashboard example. After dropping your counter into place, a new window will open allowing you to set up your counter&apos;s behavior. As you can see below, you will be able to choose the design, function and more. Table - Select the table you would like to draw the data from. Function - Select the function you would like to use(count, sum, average, min, max). Field - Select the field you would like to process. Font design- Select your font settings. As you may have seen with our other widgets, we allow you to filter the data before presenting it or with a search form. The same thing applies to the counter widget. Click here to read more about the search and filter tool. In our example we have filtered the our "active" field so only users that are active will appear in our counter.